Alan Solomons believes Edinburgh can still qualify for the new European Cup next season after they ended an eight-year wait to beat Dragons in Newport. Their 23-19 success came despite finishing the game without yellow-carded lock Izak van der Westhuizen. "We are waiting for finality on it," said the Edinburgh head coach of the replacement for the Heineken Cup. "But, if it transpires that the top six goes through, we are still in with a chance of making the top six." Edinburgh now sit in seventh place, seven points behind Scarlets but with a game in hand. "It is a big result for us," Solomons told BBC Scotland. "It is the first time Edinburgh have beaten the Dragons in Newport since 2006, so all in all I thought it was a great achievement by the side and I'm very proud of them. "In our last three games on the road, we've got a losing bonus point in games we should have won but we didn't finish well and tonight we did that. "I thought it was a great achievement bearing in mind these guys played on Saturday and finished the game with 14 men." Solomons, who thinks his side are making "huge progress" in his first season in charge, picked out his team captain for praise. "They showed great character and I thought Mike Coman showed tremendous leadership qualities," he said. "When we got our opportunities, we closed them out, which we didn't against Treviso. We took our chances, which was the big difference. Solomons avoided any criticism of the officials for the card shown to Van der Westhuizen. "I have not seen it so can't comment," he said. 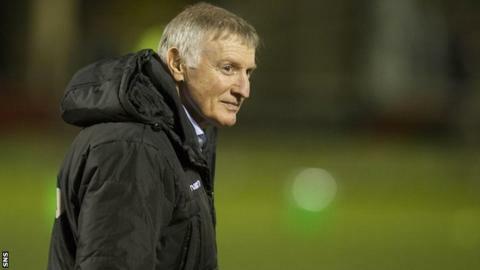 "It might well have been justified, but we had to get on with and David Denton did a great job going in at lock there. "Fortunately, he's got a lot of power and a lot of weight. It was a wet night, we picked three big loose forwards and that helped us."